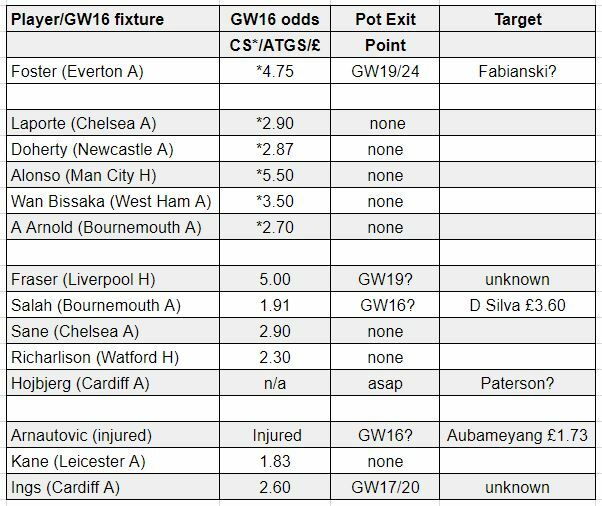 I went into GW15 in detail in my early thoughts on the FFGeek team article so I won’t go into it too much here. So a good gameweek on my metrics. A small green arrow of 8k. 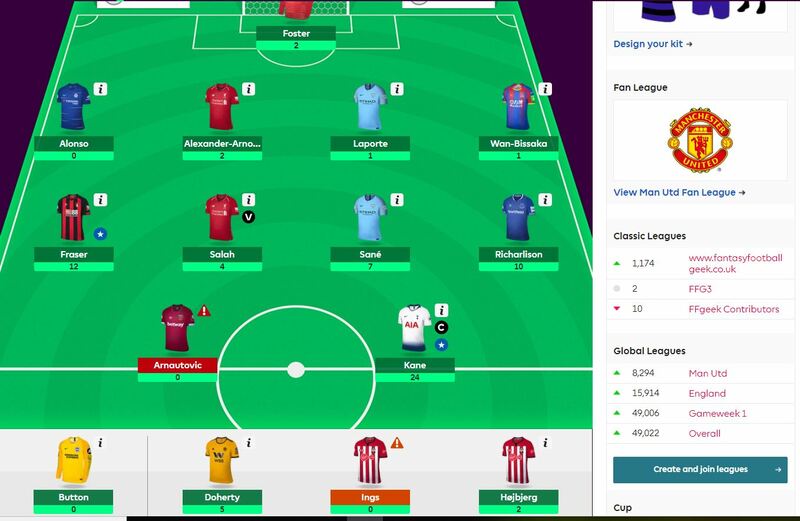 A gameweek rank of 611k, well inside the 1 million target. 5 returning players and 3 double figure FPL point hauls plus I picked the correct captain for a change. So here’s my team planner which I’ve taken from my early FFGeek team article and is now pretty redundant as you will see. So my transfer has been pretty much settled as being the injured Arnautovic out for Aubameyang. The only way it could be funded was by the sale of Salah. I am a big Salah fan but the upcoming captain priorities look like Aubameyang could be the better option. The thing that has been nagging me over the last 24 hours or so is Sterling. I was quite shocked at his underlying stats when I was doing the imaginary wildcard article. They really are quite exceptional. I then just had a look at what I would need to do to get him in. When Kolasinac fitted exactly for Alonso out it seemed like a sign that it was meant to be. So in he went. 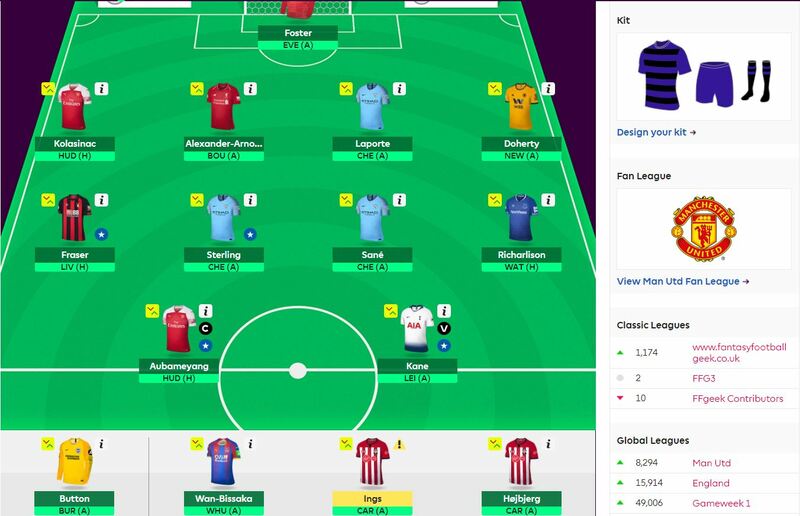 My original plan was David Silva or Son or Martial but Martials injury risk, Son being a Spurs double ruled them out and Sterling just seemed a big upgrade on Silva. Now I hate the idea of 2 of my players at the mercy of the Unai Emery and his team selection randomiser but the fixtures really are very good. If you’re ever going to introduce a defender home to Huddersfield is the time to do it. Now Kolasinac does come with alot risk there’s no doubt about that. He’s definitely not for the squeamish. He may not even make the team vs Huddersfield if Monreal takes the position but I thought it was a risk worth taking. Add to the risk that the Arsenal defence sin’t pulling up trees at the moment but it still feels like value at £4.9m IF he plays. I would definitely have gone for Bellerin at £5.4m if I had the cash. Sarri can’t seem to help himself talking about Alonso and not in a positive way so I’m hoping he gets sold to some degree to mitigate the risk. Away to Chelsea isn’t the ideal time to bring in a City player especially if Pep plays it very safe but I am confident over Sterling going forward. He also hasn’t had a 1 pointer this season which is helpful. Digne would have been the safe choice but Everton’s next 2 fixtures aren’t helpful. Minus 8. I honestly can’t remember the last time I did this. I feel slightly dizzy and have had to get up for a glass of water. It could easily go horribly wrong with Emery playing a significant part in my team and I’m glad I’m in New Zealand and will be sleeping through it. I worry about Ings not being fit and just coming on for a Cameo role. I’m nervous the Palace clean sheet prospects. Obviously Fraser v Liverpool isn’t ideal either as is Laporte against Chelsea. In the end I had to make a decision so I put Fraser in with Wan Bissaka first sub and Ings 2nd as I just can’t see him starting after the injury lay off. I’ve gone for Aubameyang over Kane due to the fixture. See the captain analysis article if you’re still deciding. Hi geek, had similar plans but -8 was too much! I just did hazard and arn out to felipe and aubamayaeng in. 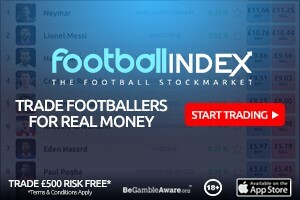 Good luck, i am pained not to have sterling! Been using this team in my work league, but this doesn’t fit in under salary with the 3 ins and out. Dear Geek, what on earth happened? Is it the NZ air? -8 and no Salah? The world seems to have changed a bit today. Full marks for boldness, but…. Allan… Salah has become expendable at the price. Auba too dangerous not to own now. Salah scoring goals for fun!